The QQI Level 8 Certificate in Drama Performance is available on both a full-time and part-time basis by the LSMD and comprises of two modules from the Higher Diploma in Arts in Music Education, Ireland’s only specialized certification in music and drama education qualifications. Students of the course will benefit greatly from a faculty with over a century of experience in Music and Drama Teacher training as well as unique learning experience. 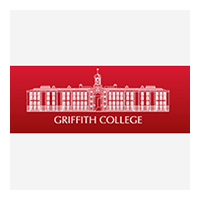 For information about Griffith College Dublin (GCD), please visit our college page on www.nightcourses.com by clicking here.